When he was nine-years-old, football fan Chris McKitten ended up losing his right leg because of a rare form of bone cancer. "It was difficult to come to terms with," he says. "Although I still played football with my friends, I didn't think I would play in a proper league or represent a club again and that was hard." Chris was determined that his disability should not stop him from playing the game he loved but finding a club to join was difficult. However, when Chris was 11-years-old, his grandad found an advert for a disability football session run by the Newcastle United Foundation. "We took a chance and we went along," he says. "I was anxious to see what type of ability levels there were but when I turned up I was overwhelmed. I didn't expect there to be so much support. "There was a pan-disability session that I joined. I wasn't too sure how I would get on but I absolutely loved it and I haven't stopped loving it." Chris has made rapid progress over the last seven years and after being invited to the English Amputee Football Association's Centre of Excellence in Manchester, he has been selected by Great Britain in their provisional squad for this year's European Amputee Football Championships and the Polska Amp Futbol Cup in Warsaw. "The Foundation have helped me grow in confidence and everything about my football ability I thank them for," he says. "At that first session I couldn't believe that this is where I would be now; it's crazy how far I have come in a short amount of time." 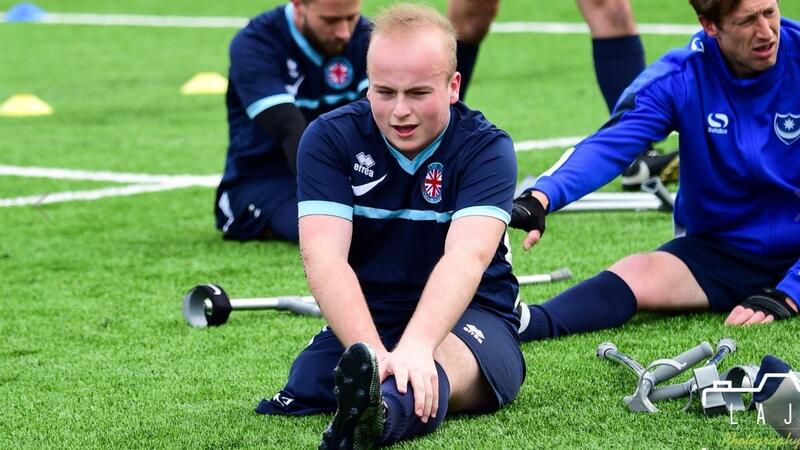 Chris is just one of many footballers being helped by the Premier League/BT Disability Fund, run by 22 Premier League and Football League clubs across the country. Newcastle United is one of those clubs and the PL/BT funding has allowed the Foundation to create 24 specialist weekly clubs for young people and adults, providing opportunities for powerchair, amputee, mental health, deaf, cerebral palsy and visually impaired/blind football. In addition, the Foundation uses the funding to offer six-week taster sessions to 44 special educational needs schools in the North East. "The PL/BT funding is vital," Chris says. 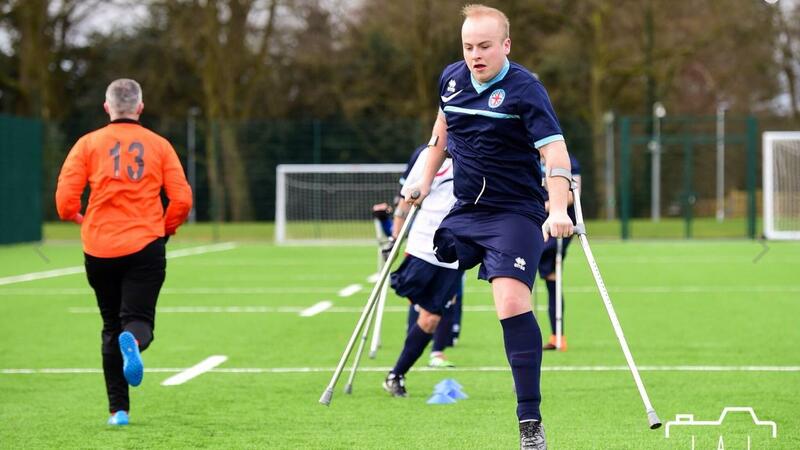 "It's a big message that gets spread about disability football. Just because you have a disability, you are not ruled out of playing the sport. It's a game for everyone." 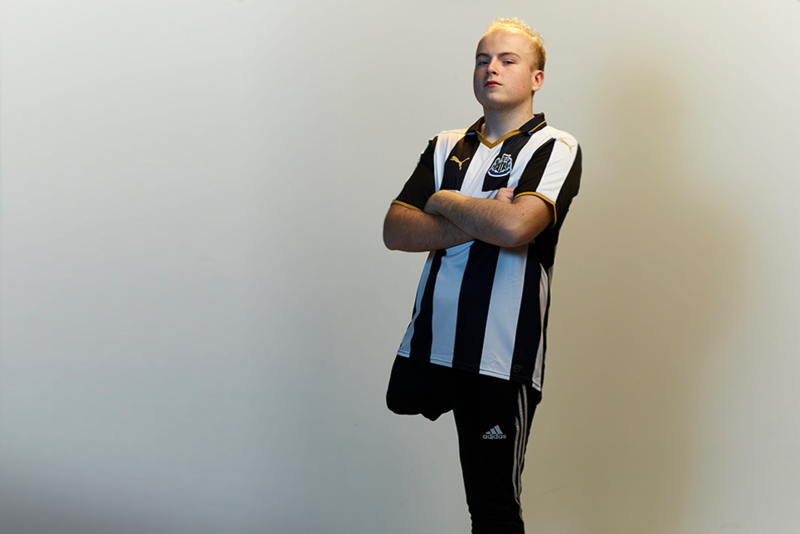 Chris is now a part of the newly formed Newcastle Foundation amputee team while the guidance and coaching that he has received has inspired him to become a disability football coach. "To be where I am in football and the support I have had, means everything to me," he says. "I want to volunteer and help teach what I have learned from the Foundation to the younger generation."